Not many athletes in the country can say they are a premier talent in two sports. Even fewer can say they are an All-American in two sports. In fact, outfielder, A.J. Brown, a junior from Starkville High School in Starkville, Mississippi is just the second athlete to play in both the Under Armour Baseball and Football All-America Games, joining Kyler Murray who accomplished the feat in 2014. 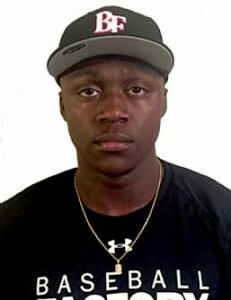 Brown, at 6’2″, 217 pounds looks the part of an athlete ready to take his game to the next level and played to the level he’s been expected to play at, batting fifth for the National Team, going 1-for-4 with a single in the second inning and a run scored in this year’s All-America Game. 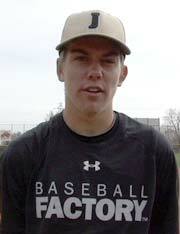 Baseball Factory caught up with Brown to talk about the All-America Game and more. Baseball Factory: How cool is the situation to be just the second player to be an All-American for both Baseball and Football? A.J. Brown: It’s a big deal for me. When they told me I was going to be the second person, I said that this is a huge honor, so why not? It’s a great opportunity to play in both games, so I wanted to live it up. BF: You come from Starkville High School, what is the competition like down in Mississippi and how do you think it’s made you grow as a player? AB: I started as a freshman, and the competition down there is really kind of hard. There’s a team down there called the Yankees, they’re legit. We have to go through them to get where we want to go, so, the competition is at its peak. AB: It’s really cool man. I’m an All-American in both sports. The Wrigley Field thing hasn’t hit me yet… until I step on the field. BF: What has your parents taught you from a life lessons perspective that you feel will help you not only in sports but in life as well? AB: Just keep working. Don’t get comfortable. You have a little bit of success and it can all go away. So keep working. That applies to life and school as well. BF: Any hobbies or anything you’re good at that someone that doesn’t know you would learn about you? AB: I can play basketball. But I don’t really do much but workout 24-7. That’s about it.